Blessed with sunshine – and tinged with excitement by the Queen of Crime – the South Devon coast is a must for discerning cruisers. How long before the rest of the world detects its charms, wonders Lesley Bellew. It was as if Agatha Christie had just walked out of the room. The double front doors of Greenway, her beloved Devon holiday home, stood half open to let a gentle breeze air the hall. The dining table was set for lunch, there was paper in the typewriter and the author’s dressing-room door was left ajar, revealing fur coats, satin gowns, hat boxes and battered cases. Outside on the lawn, deckchairs overlooked the River Dart, where sailing boats drifted by, and a croquet set awaited the next game. An air of mystery, combined with an evocative whisper of romance, have been caught in Greenway’s 1950s timewarp. It was here in this Georgian home – now run by the National Trust and resplendent in a new coat of “Agatha Cream” paint – that the author and her family spent summers and Christmases with friends. 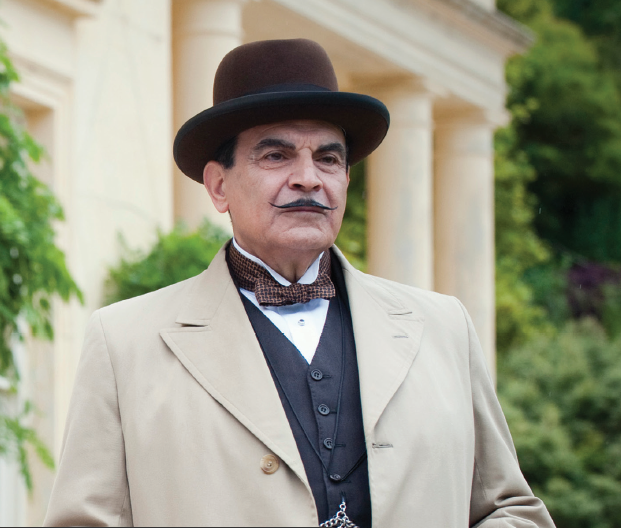 They would relax by the boathouse on the river (the scene for Marlene Tucker’s murder in “Dead Man’s Folly”, and the setting for David Suchet’s final outing as Hercule Poirot), where the great crime novelist would read her latest stories to her guests. But you don’t have to be a whodunnit fan to appreciate this house. Christie and her husband, the archaeologist Max Mallowan, were great collectors, and Greenway is crammed with Lalique glassware, Tunbridgeware, silver, fine china, furniture from their travels and, not surprisingly, books. 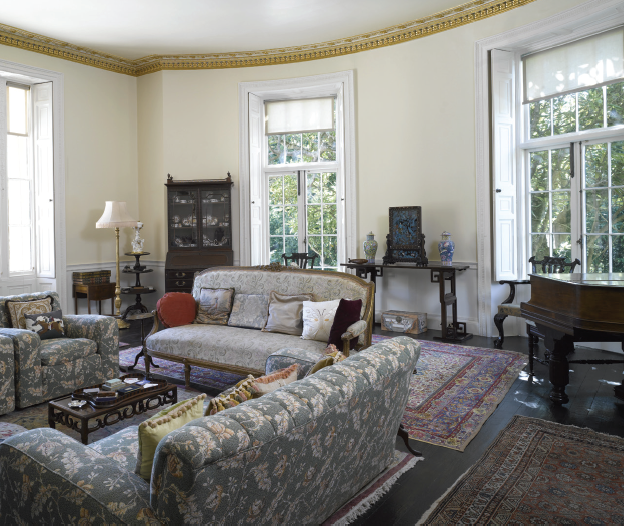 Visitors who are familiar with Christie’s novels will recognise settings and items throughout the house, such as the brass-studded chest in the hall which featured in “The Mystery of the Baghdad Chest”. The house has recently been awarded museum status, but it is the charming setting that makes a visit here so worthwhile. Allow time to walk down to the boathouse, wander in the walled garden, the refurbished peach house and vinery, play croquet and relax in a deckchair to understand why Christie loved this rural retreat with all her heart. Greenway was just one highlight of Aegean Odyssey’s first call to the UK. We were anchored at Dartmouth, among bobbing boats in the sparkling waters of this beautiful natural harbour. We had begun our day with breakfast on deck, basking in the early morning sunshine, and with the imposing Britannia Royal Naval College as a backdrop, the Brits on board couldn’t help showing off to US and Australian passengers about the town’s 900-year maritime heritage. Aegean Odyssey had sailed in from Falmouth on a millpond sea under a dawn sky of gold and pink. Now, after a good night’s sleep, her passengers’ only problem was to see how much they could pack into one day. Some chose to explore the town, while others took tours to Buckfast Abbey and Totnes, or a World War II excursion to Slapton Sands, where preparations were made for the D-Day landings in 1944, and a tragic mishap cost many lives. Others went off independently to Greenway or to the Royal Naval College. This grand establishment has been training the Navy’s officers since 1905, and it also houses a museum, whose important art collections can be viewed by appointment. These include ship models fashioned from bone by French prisoners of war; an archive of Midshipmen’s journals from HMS Britannia; and many portraits, photographs and artefacts from the Royal Family’s visits to the college. Back on board that evening, spirits were high. We all agreed that we loved small-ship cruising, with its more intimate atmosphere and its access to rivers and smaller ports. Our day in Dartmouth had been a triumph, the ship was buzzing and everyone shared their stories before moving into the Ambassador Lounge to let their hair down. The all-singing, ever-popular cruise director Richard Sykes picked up on the mood and encouraged plenty of dancing and laughter, bashing out hits from ABBA to Elvis. No one seemed to be in a rush to retire to bed, and the Charleston Lounge was the place for a nightcap – and to revel in the many glories of the English Riviera. 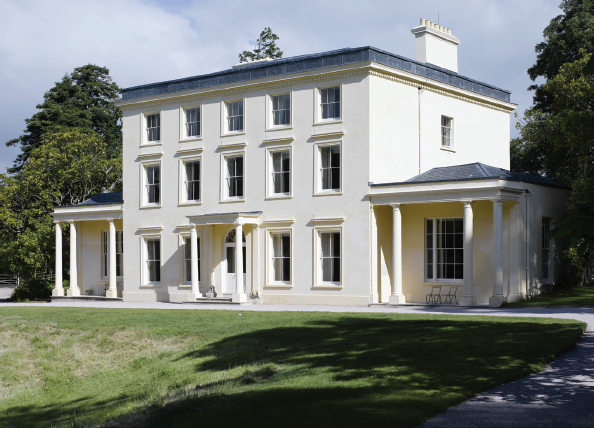 Agatha Christie was born in Devon and knew Greenway from childhood days. When the property came up for sale in 1938 she understood the asking price was £36,000 – but she when she discovered that it was actually £6,000 she snapped it up. During the Second World War, Greenway housed child evacuees until 1944-1945, when the US Coastguard took over the building. Christie’s daughter Rosalind and Rosalind’s husband Anthony Hicks passed Greenway to the National Trust in 2000. Rosalind and Anthony continued to live in the property until their deaths in 2004 and 2005. From a cruise ship, you can follow in Christie’s footsteps to Greenway by hopping aboard the preserved steam train that runs to Greenway Halt. Or you can board the pleasure boat Christie Belle, which leaves from Dartmouth Pier. Fares are £8.50 for a single journey. For details see dartmouthrailriver.co.uk. Dining: The Terrace Café offers a combination of indoor and outdoor seating, while the Marco Polo Restaurant, with a casual, country club ambience, serves dinner every evening and lunch on sea days. Both have an open seating policy. Greenway is open seven days a week, 10.30am to 5pm. Entry £10.90 for adults (National Trust members free). Free garden tours are also available.